America is that country of the world which is situated in the Western Hemisphere and known as the New World. 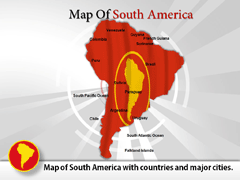 It comprises of two continents North America and South America and covers 8.3% area of the Earth's total surface area. The climate of the America varies from region to region. The total population of the America contributes to the 859,000,000 of total population of the World. The most religiously followed religion is Christianity, followed by Islam, Judaism, Sikhism, Buddhism and Hinduism. 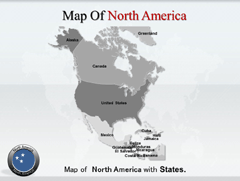 The America Bundle Maps offered by us are 100% editable slides which are intended to add professionalism to the presentations. 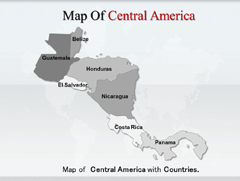 The mild Bundle Map Of America provide the viewers a better and illustrative view of your presentation through these highly customizable geographical layouts. One can also add a zing to his/her presentation by embedding certain visuals, audios and graphics to these maps while making presentations. This can also help the presenter to cope up with the complex situation of handling nervousness of speaking out in front of the audience.